TR Ses, film deneyiminin yarısıdır ve video projelerindeki sesi geliştirmek nihai sonucu önemli ölçüde artırır. AudioDirector, ses parçalarını hızlı ve basit bir şekilde düzenlemeyi ve düzeltmeyi sağlayan son teknoloji araçlar içerir. Uçtan uca ses özellikleri ve PowerDirector ile kesintisiz entegrasyon sayesinde AudioDirector, aşırı video yapımcıları için olmazsa olmaz bir uygulamadır. EN Audio is half of the movie experience, and improving the audio in video projects dramatically enhances the final result. 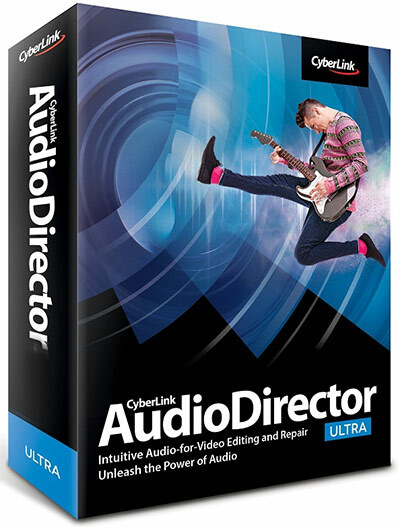 AudioDirector contains cutting-edge tools that make editing and fixing audio tracks fast and simple. With end-to-end audio features and seamless integration with PowerDirector, AudioDirector is a must-have application for extreme video makers. AudioDirector works flawlessly with PowerDirector, providing effortless round-trip editing. With round-trip editing there is no need to export your modified sound tracks and then re-import them your into your video project. Visual editing tool lets you accurately synchronize voice-overs or audio effects to specific video frames, while automated dialogue replacement helps you to seamlessly align post-recorded audio to your video. AudioDirector lets you import 360º videos for audio editing1. With round-trip editing, you can send your finished work back to PowerDirector to apply some final touches and produce your masterpiece! Add high-quality audio to your Ultra HD resolution videos with support for both 2K and Ultra HD 4K video production. AudioDirector lets you get to work quicker with less resource instensive loading and importing. Once you're done, outputting your work to whatever format you choose is a breeze, even if you have to convert the original file to a new format. Preview the final result and any artifacts from lossy encoding before you produce so you can make smart processing decisions and create better sounding audio tracks. Instantly generate ambient noise for soundless clips so that they blend seamlessly with neighboring footage. Produce your audio files with support for upto 7.1 channel audio, bit rates upto 192kHz and 32-bit depth for clarity and fidelity. Enjoy precise control over speaker output, including setting timed repeats of established sound pans. Create sophisticated surround sound projects using dynamic panning technology. Automatically adjust backing music tracks to fit the length of your video. Vocal Transformer lets you alter existing vocals into the voice personality of your choice. Choose from five existing presets or create your own. Set keyframe points and accurately transform the pitch of audio tracks to give your recordings the exact effect you're after. Use new Stereo Expander to virtually give tracks a wider stereo presence and sound fuller. Choose between waveform and frequency spectrum visual interfaces, which highlights audio imperfections and allows you to fix them using Visual Repair. Record from multiple audio channels at the same time directly into AudioDirector. You don't need to spend time syncing channels, so you can start editing right away. Speed up the editing process by selecting and applying audio adjustments to multiple tracks with just a click. Convenient control buttons on each individual audio track—up to 99 tracks—for full control at your fingertips. Select a track icon, mute, record, add volume keyframes and more.